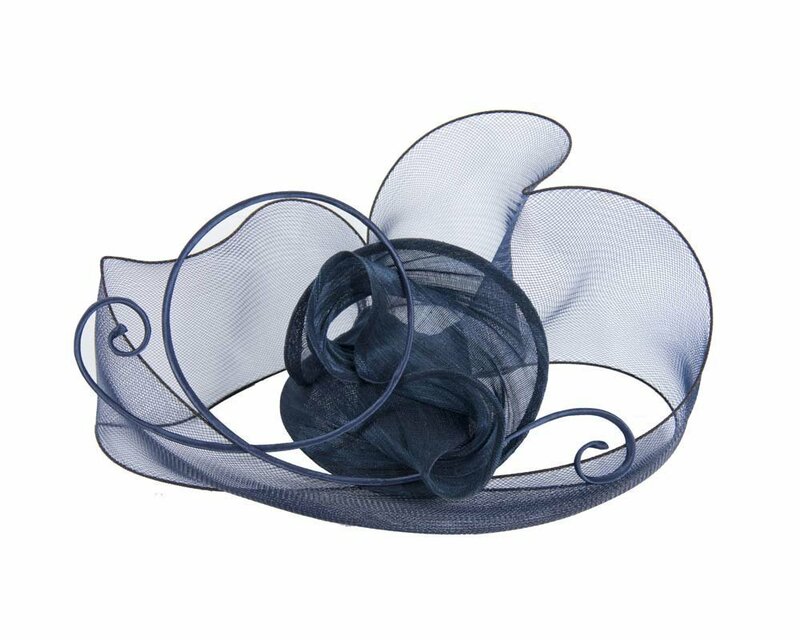 This elegant navy fascinator is hand made in Australia from combination of luxurious materials. 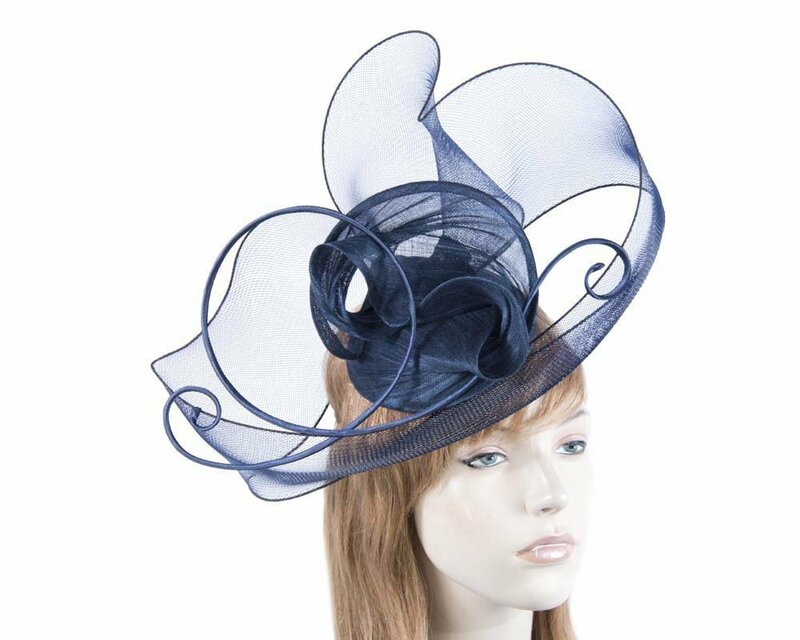 Fascinator features unusual shape and has an elastic band for comfortable fit. 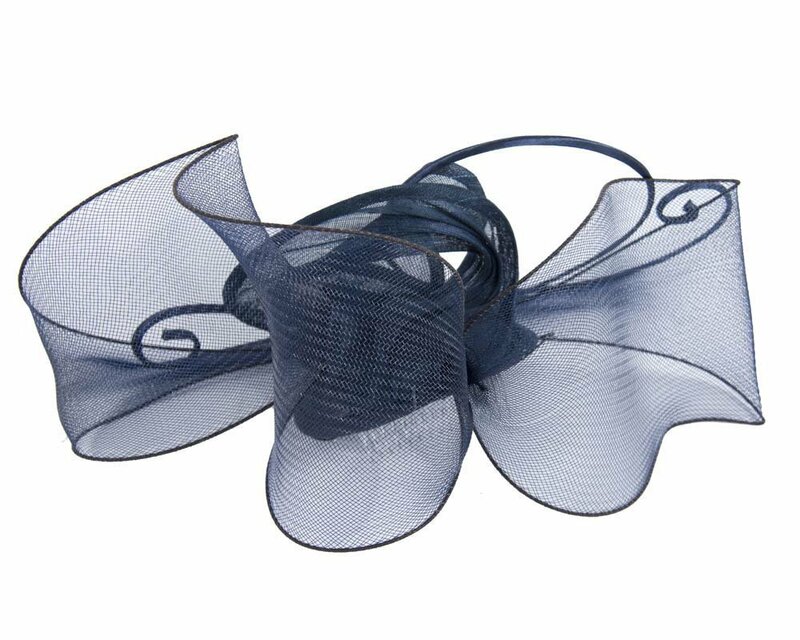 If you are looking for an unusual design that will turn heads at Melbourne Cup or other racing events, this fascinator is a perfect choice. Hats From OZ is an exclusive online ladies hats and fascinators store trusted by thousands of customers worldwide. 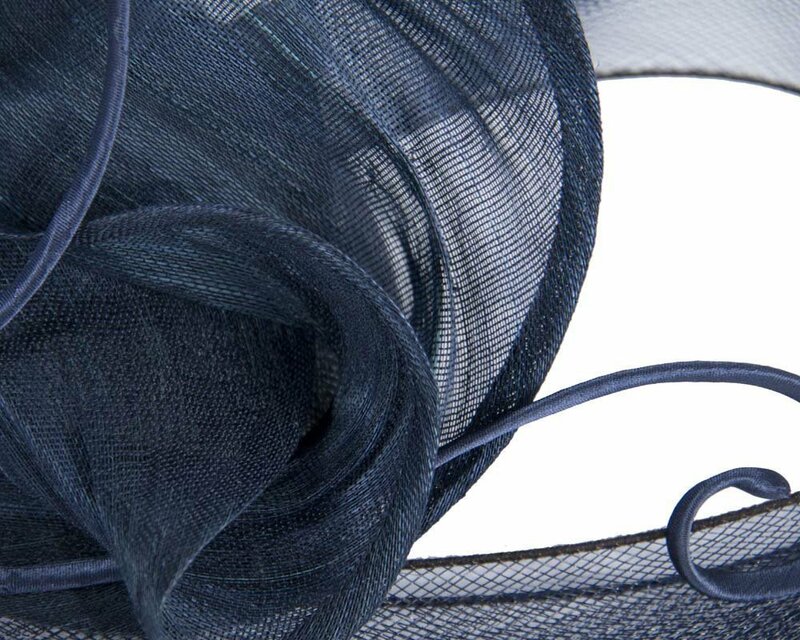 As each fascinator is made as ordered, please allow few days for creation of yours.